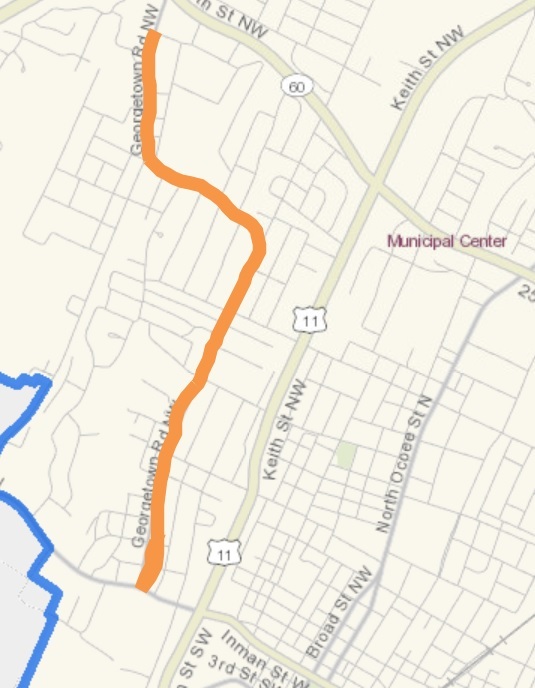 The city of Cleveland will be paving a section of Georgetown Road from Guthrie Drive to Harrison Pike beginning Thursday, April 12, 2018 from 7:30 a.m. to 5:00 p.m. Weather pending, crews will continue paving along Georgetown Road on Monday, April 16th and Tuesday, April 17th from 7:30 a.m. to 5:00 p.m. The additional funding for this project was approved by the Cleveland Council as a part of the council’s transportation and infrastructure initiative for the city. Lane closures are expected for this project. Non-local traffic is advised to use an alternative route.